Creso Pharma Limited (ASX:CPH) has informed the market it has completed the acquisition of emerging Nova Scotia-based medicinal cannabis producer, Mernova Medicinal Inc (Mernova). With the acquisition now finalised, the development marks CPH’s formal entry into Canada — making it the only Australian cannabis company with direct exposure to the world’s largest legal medical cannabis market. 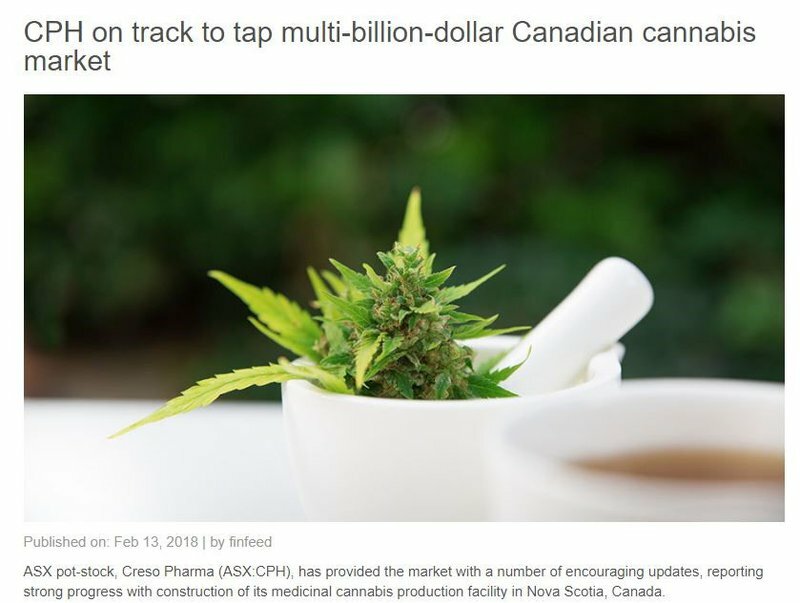 With the completed acquisition, CPH also makes good on its strategy of establishing a Canadian presence and its pursuit of opportunities in the medicinal cannabis space. Further, by entering the Canadian market, the company gains exposure to the country’s considerable recreational cannabis market once this is legalised, with legalisation expected in mid-2018. However, how much of the market CPH is able to corner is speculative at this stage and therefore investors shouldn’t act on this fact alone, but should take all publicly available information into account and seek professional financial advice. Following tax advice, the company has finalised the acquisition through two newly incorporated Canadian subsidiaries: Creso Canada Limited and Creso Canada Corporate Limited. As a result of the transaction, Mernova shareholders were paid a cash payment of C$200,000 (AU$201,180) and issued a total of 8,300,000 exchangeable shares in Creso Canada Limited. These shares are exchangeable for fully paid ordinary shares in CPH, upon the satisfaction of certain milestones. Further details relating to the Mernova acquisition can be found in CPH’s 13 February announcement and in a recent Finfeed article. A week ago, CPH announced its progress in leveraging another thriving cannabis market —Colombia, which it looks to enter via its recently proposed acquisition of Kunna Canada Ltd.
Kunna has a licence to produce, manufacture, market and export cannabis derivatives and products using extracts in Colombia by the Ministry of Health, making it one of a small number of companies to have secured such a licence. 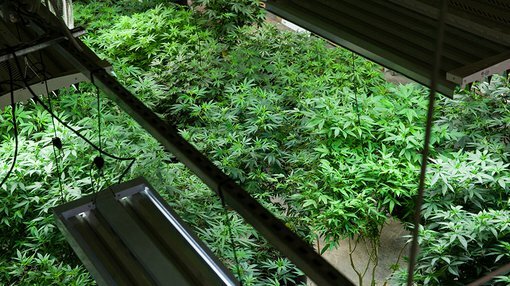 Kunna anticipates receiving its licence to cultivate medicinal cannabis in Colombia in April.